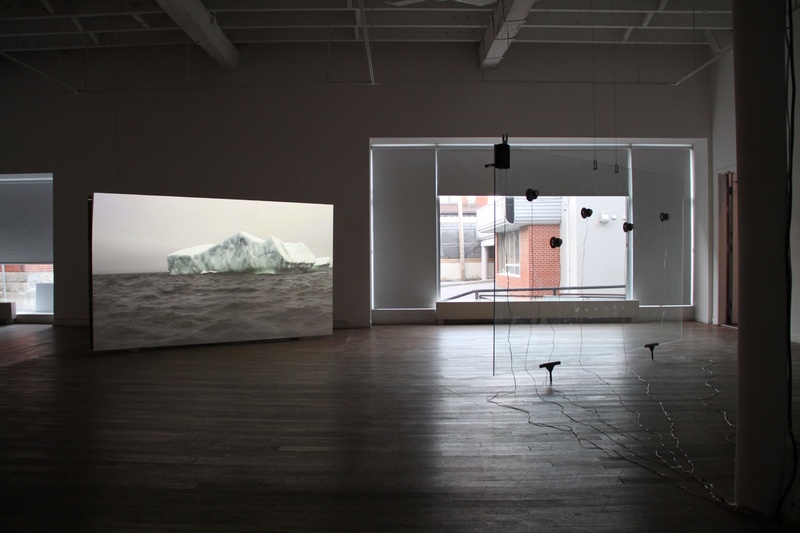 The Noise of Icebergs is an installation created from audio and video recordings made in the St. Lunaire-Griquet region of Newfoundland’s Great Northern Peninsula. With this work, I examine the sonic and visual relations of scale between an iceberg drifting on the ocean and a boat rocking in the waves. This play of movement reveals a fragile equilibrium between the delicate sounds of an immense material presence and the vibrations of matter that is changing, with moments of synchronicity or discordance between these elements. For the installation created out of this material, I installed a large glass pane (64 x 113 inches) in the exhibition space. 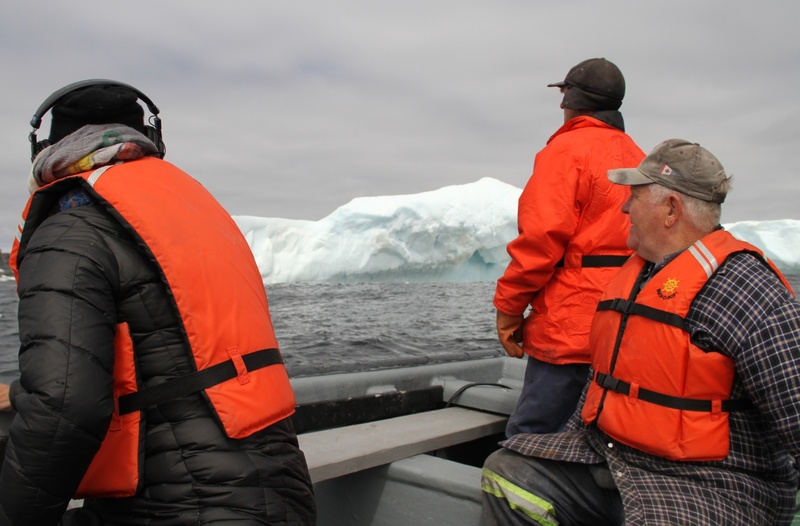 An audio recording of icebergs transmits low frequencies directly to the glass, making it vibrate. The glass occupies the space with a strong sonic presence, yet also conveys a state of precariousness. The viewer has the impression that everything could collapse. The vibration is visually perceptible because of the reflecting light. 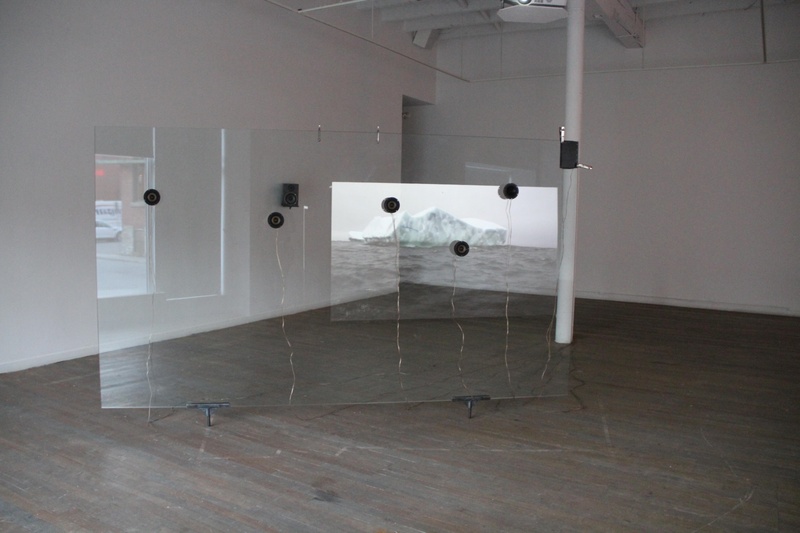 As viewers navigate through the space, changing the angle of their position, they see a reflection of a video of an iceberg in the glass pane, which disappears when they change their position. This play of movement echoes that between the iceberg and the boat during the recording sessions. 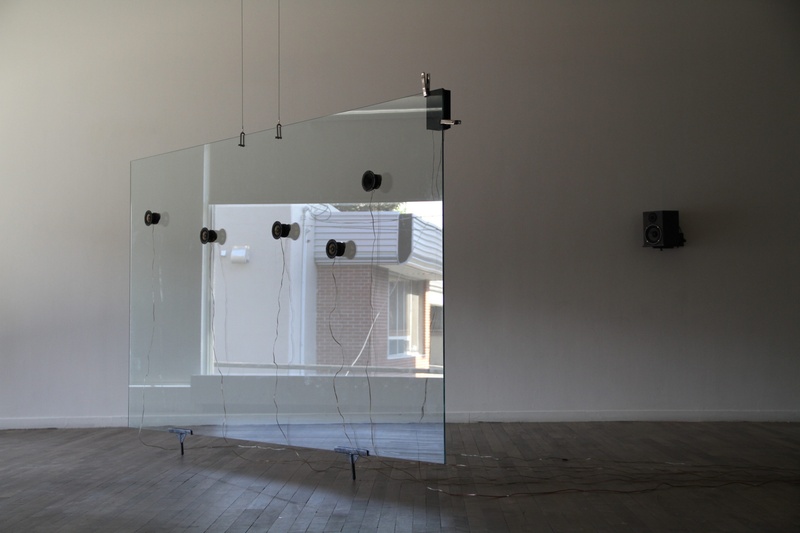 In approaching the small loudspeakers placed directly on the glass, the viewer hears delicate sounds emanating from an immense material presence, the micro-noises of the matter that is changing, transforming and solidifying between moments of silence. 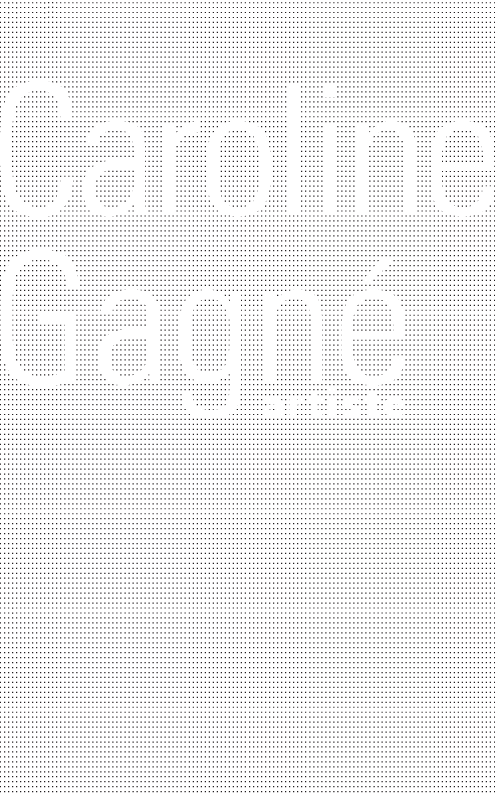 In another part of the exhibition space, the viewer hears the noises of my own movements in the boat. Viewers can experience the work from several vantage points, and thus discover the sonic subtleties, the reflections, and the vibration of the glass pane.